The Hon Anthony Roberts MP is the NSW Minister for Industry, Resources and Energy. 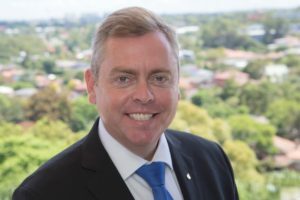 Elected as the Member for Lane Cove in 2003, Anthony previously served as the Minister for Fair Trading from March 2011 to December 2013. Prior to becoming a Member of the NSW Parliament, he served as Mayor of Lane Cove Municipal Council and was an advisor to former Prime Minister John Howard. A former Captain in the Australian Army Reserves, Anthony proudly served in peacekeeping operations in Bougainville as part of Operation Bel Isi.